Looking for a white wedding parasol? 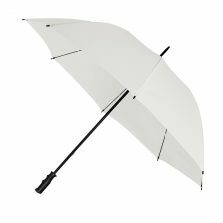 By popular demand, Umbrella Heaven now offers the traditional Bedford White Wedding Parasol as part of our range of wedding umbrellas. 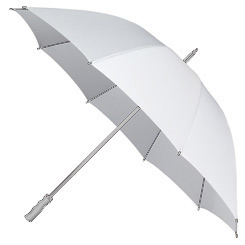 This white bridal umbrella has twin fluted ribs and a steel shaft. 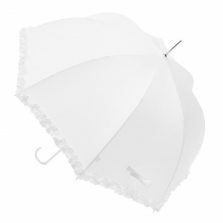 This traditional shaped large white wedding umbrella is very popular for weddings, Christenings and many other functions – also just for everyday use. 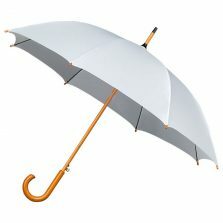 These beautiful brollies are the perfect addition for your special day, be prepared no matter the weather! Canopy width is 130 cm / 51″ and it’s 100 cm / 39.5″ long. Love dealing with this company, they deliver on time and their products are such good quality. 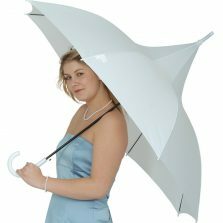 I ordered this as a precaution for my daughter’s wedding day, luckily the sun shone so we did not use it, but the following day it was torrential rain so it came in handy. Great quality and very sturdy.